Schlegel Villages, the Schlegel-UW Research Institute of Aging (RIA) and Mohawk College have partnered to open a third Living Classroom at the Village of Wentworth Heights in Hamilton. In this new location, Mohawk College students enrolled in the personal support worker program have access to a classroom, computer lab, skills lab, faculty offices, a student lounge and a mock apartment identical to those at the long-term care home where the classroom is embedded. They will also work directly within the Wentworth Heights community right from the start, getting hands-on experience with residents and team members. The Living Classroom was developed as an innovative educational experience to encourage students to pursue a career path working with older adults. Living Classroom graduates are often better prepared to support the changing needs of the aging population, building workforce capacity in the senior living sector. This model of experiential learning was first developed in partnership with the RIA and Conestoga College. At the opening on January 31, James Schlegel, President of Schlegel Villages, talked about the Living Classroom program as an opportunity for learners to be integrated right into the village to enhance their learning experience and enhance the lives of residents as well. The Wentworth Heights program is the third Living Classroom to open at Schlegel Villages. The first opened at the Village of Riverside Glen (Guelph, Ontario) in 2009 and the second opened at The Village of University Gates (Waterloo, Ontario) in 2015 in partnership with the RIA. 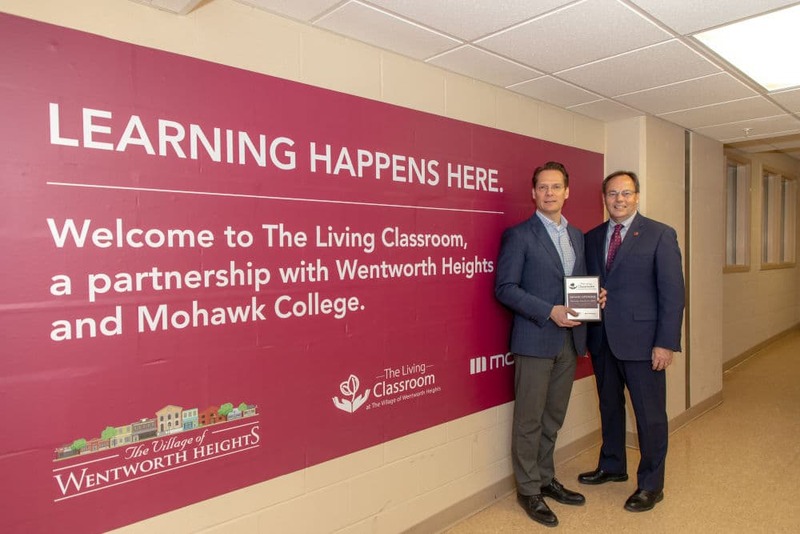 Read more about the Living Classroom at Wentworth Heights on the Mohawk College website. © 2018 Living Classroom | Website developed by MediaDoc Inc.